With our factory certification, our customers receive a much higher quality factory warranty (up to 4x the upfront coverage) that covers the entire roofing system (not just the shingles) and the labor cost. 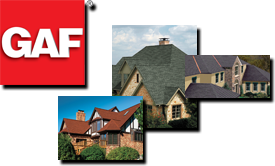 Gassert Roofing offers numerous choices when it comes to your roofing needs. Our warranties range 10 years to a lifetime. We offer many different styles and colors, as well as numerous flat roof solutions. Gassert roofing offers solutions to compliment any home or business. We are looking forward to taking care of all your roofing needs.